At Premier Appliance store we want your shopping experience to be hassle-free from beginning to end. When you purchase with us, your appliances will be delivered to your home as quickly as possible. Our customer service team is here with you every step of the way, to do all we can to make sure your appliance arrives on a day and time most convenient for you. Please Note: Delivery time is typically 1-2 days when the unit is in stock. Some brands, and some models, are considered “Special Order” by the manufacturer, meaning they are custom made or made-to-order. Shipping times for these will vary, from 2-12 weeks, depending on the appliance and manufacturer. If you wish, we will take your appliance(s) to your curb or to the mouth of your driveway, at no additional charge. Curbside Delivery does not include unpacking, placement, installation, or plugging in of the appliance(s). Curbside delivery not available for BUILT-IN REFRIGERATORS! These refrigerators present a tipping hazard once removed from their shipping pallet. *$599 total must be reached in appliance purchases. Extended Warranties not included in required price. Please Note: For some customers outside of the company's delivery zone areas, additional delivery charges may be required. We will contact you, to schedule a day and time to deliver doing our best to make sure it is most convenient for you. Please don’t hesitate to contact us with any questions or concerns about delivery (858) 201-9526. In order for the delivery process to go smoothly, you will need to prepare for the arrival of your appliance(s). You will have been contacted prior to the delivery to set up a date and schedule a time frame. Here are some important guidelines to follow which will help you be ready for the delivery date. When your purchase arrives, make sure to examine the external and internal condition of the packaging and appliance(s) while our personnel are there with you. Wait to sign for your order until after you have completed your examination and are satisfied with the condition of your appliance(s). If your appliance(s) is received damaged, sign for the product as DAMAGED. Please bring our attention to the damage as soon as you see it, so we can also examine it with you! If there is damage of any kind, of our doing we will replace your appliance with the same or comparable unit, doing everything in our power to minimize your discomfort and wait. If there is damage of any kind, of our doing we will replace your appliance with the same or comparable unit, doing everything in our power to minimize your discomfort and wait. You must follow all of the Standard Delivery Guidelines in addition to the following guidelines below. Remove doors, large furniture, or other obstacles which you feel may prevent a smooth transfer along the pathway into the installation location. Please be sure the installation location is clear for each appliance with more than generous space around the final resting area. If doors or other parts of a new appliance must be removed, the appliance will be reassembled by our expert installers after it has been placed in its final location. * Premier Appliance Store charges $40 per 15 minute increment to wait while the doors of your home are removed or paths through the house are cleared. If any additional charge is incurred, you will be charged we are there or the office will call to charge a credit card over the phone. ** Charges for additional flights of stairs and/or removal of appliance doors, etc. will be collected at the time of delivery. Please Note: If failure to properly follow these guidelines prevents our services from being performed, we cannot refund delivery costs. It is possible for damage to occur during transport. It is extremely important to us that you thoroughly inspect your purchase at the time of delivery. When the appliance(s) is delivered, please examine the external and internal condition of the packaging and appliance while our personnel are there with you. Wait to sign for your purchase until after you have completed your examination and are satisfied with the condition of your purchase. If your appliance(s) are received damaged sign for the product as DAMAGED. Please bring our attention to the damage as soon as you see it, so we can also examine it with you! If there is damage of any kind, of our doing we will replace your appliance with the same or comparable unit, doing everything in our power to minimize your discomfort and wait. Monday - Saturday, 9:30 am - 5:30 pm. MySynchrony Financing - Premier is in alliance with MySynchrony Financing to offer easy financing options for you. All of our appliances come with a Manufacturer's Warranty, which lasts for one year. It covers any problem with the appliance that affects its function. For more information on the coverage of your particular appliance, please call us any time (858) 201-9526 we will be happy to get the warranty information you need. Premier Appliance Store website content is protected by U.S Copyright Laws. This includes, but is not limited to: logos, photographs, and text. All of the content is property of Premier Appliance Store or our suppliers. Any copying, distribution, or republication either electronic or otherwise without written consent is strictly prohibited. Permission for personal use pertaining purchases and shopping is expressly granted. Premier Appliance store strives to make available the most accurate information and appliance specifications on our website at all times. Please understand, in the Internet Age, things can, and do change quickly. We do not guarantee the information will always be complete, current, accurate or error-free. We reserve the right to correct or update any information on our website at any time without notice. We reserve right to refuse or cancel any purchase containing an inaccuracy or error or which is the result of an inaccuracy or error. This right is reserved whether or not the purchase is confirmed or a credit card has been charged. If the purchase is canceled after the credit card is charged, we will issue a credit refund for the amount charged. 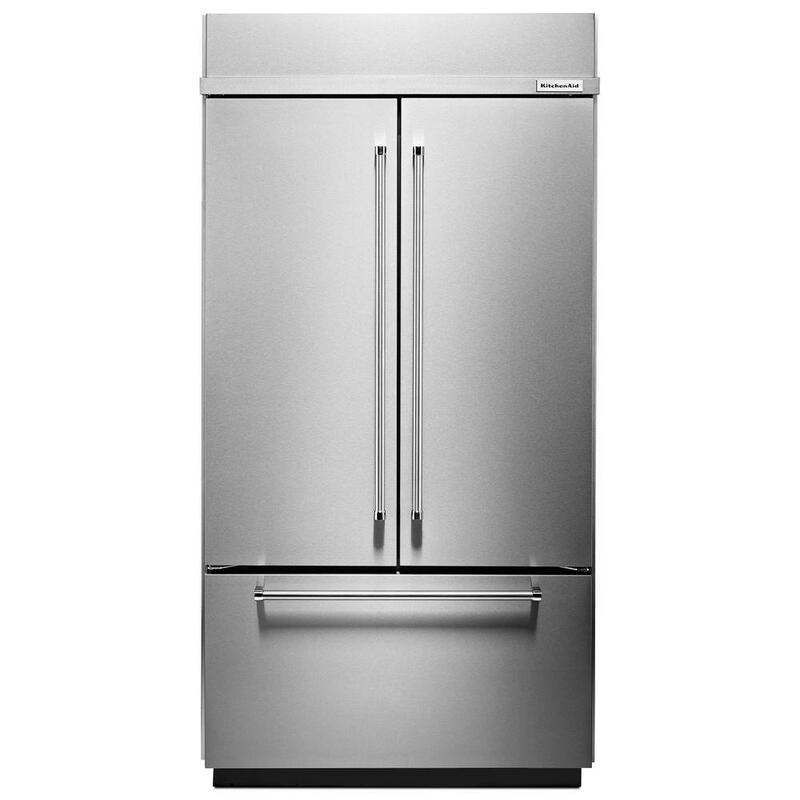 Premier Appliance store does not, and cannot ship or transport merchandise to foreign countries. If any appliances are exported after purchase, all warranties are null and void. We reserve the right to limit the number of appliances sold as well as the right to refuse sale to any resellers. All photographic images on our website are for reference only and do not necessarily represent the actual appliance. All disputes, claims, lawsuits, administrative proceedings, or other proceedings concerning any appliance or business transaction involving Premier Appliance store or any of our employees, agents, or servants shall be governed by the laws of the State of California. Premier Appliance store NEVER share or sell your personal information to any third party. This is a promise we make to all of our valued customers. When making a purchase or registering with Premier Appliance store, we collect your billing address and financial information. Your personal information is needed to successfully complete your purchase. Premier Appliance store requires your name, phone number, and e-mail address if you request information about our appliances so we can respond to your request. We may send e-mails that include user administrative information, purchase confirmation, and other purchase-related information especially if/when you request it. Since these are not promotional e-mails, you may not be able to opt out unless you deactivate your account. Premier Appliance store employs some third-party service providers. These include, but are not limited to: delivery and installation personelle. Third-party service providers DO NOT have permission to use your personal information for any purpose other than the fulfillment of their service. This includes any promotional use. A cookie is a small file left on your computer which tells a website if you have visited before or not. This allows for a web experience tailored to your needs. We do allow cookies to track user behavior on our website, but this is never linked to any identifying information. The user behavior information collected is mainly demographic in nature and is primarily used for our own research purposes as well as improving our services. Again, it is never linked to a specific person's private information. We may allow third party cookies to collect user behavior information in some cases. We cannot access or control these cookies. But, as stated above, the information will never identify a specific customer. If you have purchased appliances from us or have created an account on our website, you may update your personal information or deactivate your account any time you wish. You can have your account deleted by sending an e-mail request. Once we receive the request, we will promptly honor it. The security of your personal information is one of our greatest concerns. We encrypt all information entered into the website using secure socket layer technology. While no data transmission or storage technology is beyond failure, we take extreme care in ensuring we are meeting accepted industry standards. We cannot guarantee absolute security, but we do our best every day to make sure we protect your personal information. If Premier Appliance store is sold, acquired, or merged with another company or entity, your personal information is an asset that could be transferred. If this happens, we will notify you in some prominent way at least 30 days in advance. It is your information, so you will have a choice whether it is transferred or deleted. In the event Premier Appliance store becomes legally obligated to share our consumer’s personal information with the government, law enforcement, a court, or some other third party. In that event, we would obey the legal demand to provide said information. In order to place your appliance on hold, you will need to contact us (858) 201-9526 or tell us at the time of your purchase that you need it be held. Our team will be glad to help! We will hold pricing on paid-in-full appliances ONLY, for up to 60 days. After 60 days you must take delivery of your appliance. Extensions may be allowed in emergency situations with but we must be notified of the need. You must call (858) 201-9526 or email premierappliancesandiego@gmail.com as soon as you are ready for delivery to schedule. Placing your appliance(s) on hold only holds today’s price. Full payment for the appliance(s) is required upfront. Placing an appliance(s) on hold can have an effect on rebates. It is your responsibility to make sure the holding period will not cause you to miss a rebate deadline. You should know in advance when the deadline will occur and plan accordingly. We cannot guarantee delivery on a specific date. We can plan for delivery to take place as close to your requested date as possible. All purchases have a 24-hour cancellation window. Review your purchase right away and contact us immediately if there is a problem with your purchase, ore you change your mind. If you wish to cancel your purchase, please call us as soon as you make your decision or send a verification e-mail to premierappliancesandiego@gmail.com. Within 24 hours, you may cancel your order without a fee. After 24 hours, your cancellation request will be subject to review. Refund of a cancelled appliance(s) (subtracting any applicable fees) may take up to three business days to process, depending on the terms and policies set by your bank. Whether this mistake was entered by you or by us, you have 24 hours after the purchase is made to review it and bring any discrepancies to our attention. We will correct them immediately. If the 24-hour window includes a day such as a Sunday or a major holiday during which we are not open, contact us by the following business day to have your order altered. If you contact us after 24 hours, correcting the order may involve a return shipping fee if the order has already shipped. Installation is a service is provided by Premier Appliance store and sometimes a third party Company that is not affiliated with Premier Appliance Store. * If alteration to your home or utilities is required, additional charges may apply. You must pay the installer for any additional services at time of installation. *Basic Pro Range Installation 30" to 36"